There is no question that opioid overdose is a crisis in the United States. This month, the (“NIDA”) reported that 115 Americans die everyday from an opioid overdose. According to NIDA, this epidemic started in the 1990’s with pharmaceutical companies assuring the medical community that prescription opioids such as pain medicine was not addicting. Doctors became more liberal with their prescriptions and overdose rates increased. 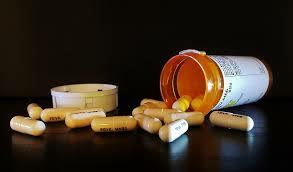 NIDA reports that 21-29 percent of people prescribed opioids have misused the drug. While there is an agreement that the opioid overdose crisis is real, how to combat the problem remains a debate. On one side, there are groups who want more therapy and treatment implemented to address the problem. On the opposite side is Trump who believes that drug manufacturers and dealers should be executed. The Law Office of Dayna L. Jones believes in a dual approach to drug cases. If drug abuse is an issue, then while we focus on addressing the legal aspects of the case and defending against any illegal searchers and seizures, our office also encourages our clients to seek treatment. If you have been arrested for possession of a controlled substance, please contact the Law Office of Dayna L. Jones to begin defending your case.